I like to do crafts. With Pinterest it seems like anything is possible!! This can be dangerous. Thankfully I have not had a Pintrest Fail…. yet. When I do you will find out about it. I created two projects that I found on Pinterest and I am very happy with the results. The first one involves tickets. The Mr. and I love to go to concerts and the movies. 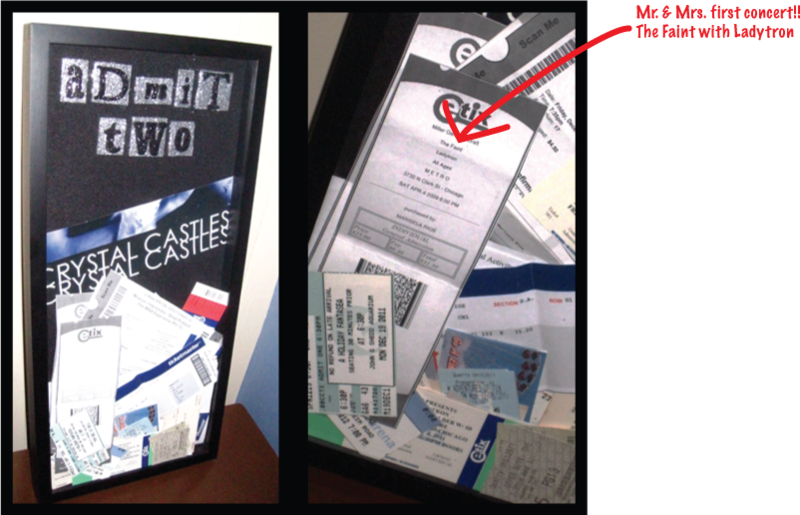 So we have tons of ticket stubs laying around, so when I saw this, I thought it would be perfect on our wall in the livingroom or somewhere in the house. All of our walls are bare at the moment. 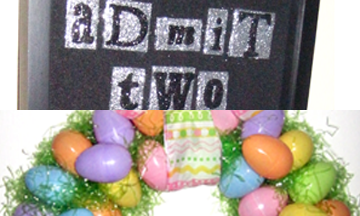 Next, in the spirit of Easter I created a wreath. I saw this tutorial and made my version. It is super easy to make! 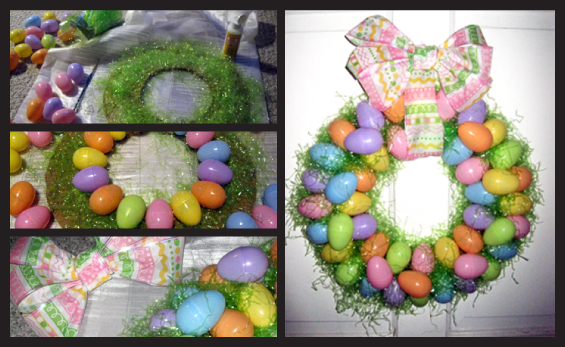 All you need is plastic eggs, fake grass, cardboard, ribbon and a hot glue gun. I hope you all have a Happy Easter! !